Lyon’s orchestra will play some of classical music’s most passionate pieces on Valentine’s Night. What better way to celebrate Valentine’s night, with a loved one, family, or alone, than listening to some of classical music’s greatest pieces? All the pieces tie closely into the theme of love. The show will start at 8pm on the 14th February – don’t miss out! Lyon’s auditorium, where the orchestra will be playing. 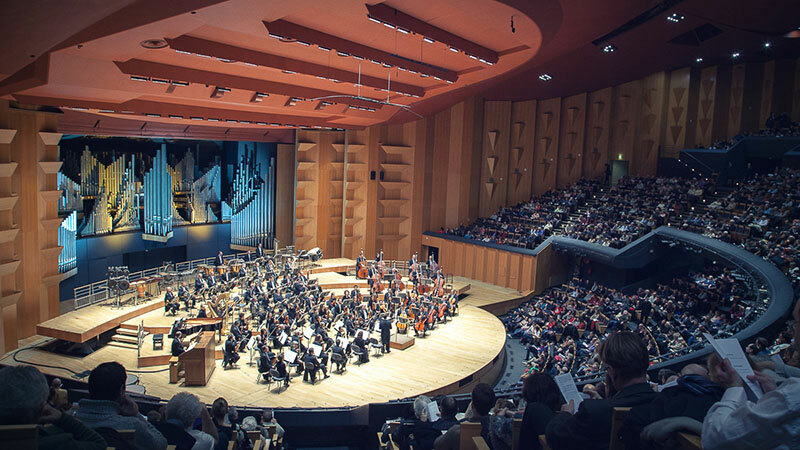 Nothing says Valentine’s Day quite like classical music, nor the stories of Tristan and Iselda and Romeo and Juliet – and Lyon’s orchestra are offering up both at Lyon’s auditorium for Valentine’s night. Wagner’s ‘Tristan und Isole’ portrays the passion that can be born from a simple glance, whilst Tchaïkovski’s ‘Romeo and Juliet’ paints the lovers’ story of love overpowering hatred. The other two pieces are equally as romantic and passionate. Scriabin’s ‘The Poem of Ecstasy’ sees an exciting end to the night, depicting, through music, a sort of mystical love. If the pieces being played hasn’t convinced you, the quality of the musicians should do. Musicians include German violinist Frank Peter Zimmerman and American conductor Karina Canellakis, both of whom promise to give an skilled performance. Zimmerman has played in orchestras all over the world, and his skills are sought by many conductors. Likewise, Canellakis has been conductor of many orchestras, particularly European orchestras, such as Vienna’s orchestra. Tickets range in price between 16€ and 48€, according to the tariff you are eligible for. Tickets can be bought online at www.auditoriumlyon.com. The event will take place at Lyon’s auditorium, Orchestre national de Lyon, 149 rue Garibaldi, 69003 Lyon. If you would like to: access, correct, amend or delete any personal information we have about you, object to their processing, register a complaint or simply want more information, contact us by email at [email protected].fr.